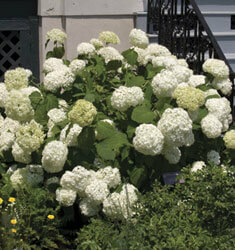 Enormous creamy-white flowerheads up to 1’ across. Deciduous shrub border with large, downy leaves. Blooms on current season’s wood.